The Basel Committee is the primary global standard-setter for the prudential regulation of banks and provides a forum for cooperation on banking supervisory matters. Its mandate is to strengthen the regulation, supervision, and practices of banks worldwide with the purpose of enhancing financial stability. Stefan Ingves, Governor of Sveriges Riksbank(Sweden), is the chairman CHAIRMAN of the Basel Committee. The Bank for International Settlements (BIS) established on 17 May 1930, is the world’s oldest international financial organization. The BIS has 60-member central banks, representing countries from around the world. Basel III or Basel 3 released in December, 2010 is the third in the series of Basel Accords. 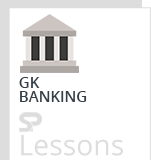 These accords deal with risk management aspects for the banking sector. One of the key elements of Basel 3 is the introduction of much stricter definition of capital. It means capital with the higher loss-absorbing capacity. This in turn will mean that banks will be stronger, allowing them to better withstand periods of stress. Another key feature of Basel iii is that now banks will be required to hold a capital conservation buffer of 2.5% of RWAs. CCB-aims to conserve the capital of banks by making a buffer/reserve for CRISIS situation. The aim of asking to build conservation buffer is to ensure that banks maintain a cushion of capital that can be used to absorb losses during periods of financial and economic stress. will slow banking activity when it overheats and will encourage lending when times are tough i.e. in bad times. The buffer will range from 0% to 2.5% of RWAs, consisting of common equity/shares or other fully loss-absorbing capital. The minimum requirement for common equity, the highest form of loss-absorbing capital, has been Minimum Common Equity(the highest form of loss-absorbing capital) raised under Basel III from 2% to 4.5% of total risk-weighted assets. The overall Tier 1 capital requirement, consisting of not only common equity but also other qualifying financial instruments, will also increase from the current minimum of 4% to 6%. Although the minimum total capital requirement will remain at the current 8% level. A leverage ratio is the relative amount of capital to total assets (not risk-weighted). This aims to put a cap on swelling of leverage in the banking sector on a global basis. 3% leverage ratio of Tier 1 will be tested before a mandatory leverage ratio is introduced in January 2018. Under Basel III, a framework for liquidity risk management will be created. A new Liquidity Coverage Ratio (LCR) and Net Stable Funding Ratio (NSFR) are to be introduced in 2015 and 2018, respectively. Capital Reserves which represent surplus arising out of the sale proceeds of the assets. Investment Fluctuation Reserves Innovative Perpetual Debt Instruments (IPDIs) Perpetual Noncumulative Preference Shares. Undisclosed reserves and cumulative perpetual preference shares. General Provisions and loss reserves Hybrid debt capital instruments such as bonds. Long term unsecured loans Debt Capital Instruments. The Reserve Bank of India has extended the timeline for full implementation of the Basel III capital regulations by a year to March 31, 2019. This breathercomes in the wake of industry-wide concerns about the potential stresses (of the implementation of the regulations) on the asset quality and consequential impact on the performance/profitability of banks.